Will I be able to connect to the internet during NAFAC? Yes, the hotel (including hotel bar, restaurant, and lobby) has free wireless internet. Though the Naval Academy does not support a wireless network throughout its campus due to security concerns, you can expect secure hotspots in the round table rooms. I am driving to the conference. Where should I park my car? We cannot support parking on campus for delegates, but there will be buses provided to and from the hotel and all conference events. We therefore encourage you to park at the hotel. What are some of the activities delegates take part in? Delegates will mostly be occupied with conference events. Reference the attached schedule for the specifics. However, in addition to speakers, panels, and round tables, delegates will be able to go underway on Yard Patrol craft, take a tour of the Naval Academy Campus, known to midshipmen as “the Yard,” visit the Midshipman Store, and enjoy social time with fellow conference attendees in Annapolis! Should I bring additional spending money to the conference? There will be opportunities to purchase NAFAC and Naval Academy merchandise, including the specially designed NAFAC 2018 t-shirt! There will also be an opportunity to purchase books written by different panelists and speakers. There will also be free time in Downtown Annapolis, which has many unique shops and restaurants to explore. NAFAC provides transportation to and from Baltimore Washington International Airport, Reagan International Airport and in special cases Dulles International Airport. We also provide transportation to and from New Carrollton Metro Station and the BWI Amtrak Station. What time should I arrive on Monday, April 8th? All delegates should arrive on the Monday between 0900 and 1700 if possible. Transportation to and from the locations listed in the previous question will be provided by NAFAC. What time should I depart? The last event is currently scheduled for the evening on April 12th. We recommend that you schedule your departure travel for the morning of Friday, April 12th. The conference will provide transportation to the airports, train, or metro stations. We recommend you fly out of BWI or Reagan airports, or take a train from BWI Amtrak Station or New Carrollton Station. Registered delegates will be advised of the hotel name and location for NAFAC 2019 once it has been confirmed. Transportation to and from the hotel will be provided by NAFAC. How was the NAFAC topic chosen this year? Each spring, after the conclusion of NAFAC, a new NAFAC Midshipman Director and staff are selected. Throughout the summer and early fall, the NAFAC Staff discusses the most current foreign affairs challenges affecting global politics of the day. The NAFAC Staff then chooses the topic that they feel has the most current relevance, important global implications, and will be exciting for our delegates to ponder and discuss. Once the NAFAC Director receives final approval from Senior Academy leadership, conference planning begins! What is the best way to prepare myself for the Conference? Keeping abreast of current events through newspapers, journals, and the other sources of news is essential. Background research into the topic of the conference, as well as your Round Table’s subtopic is the key to writing a thoughtful and well balanced paper. In the near future, our website and social media will post links to sources that provide valuable information. Remember, the more research you do ahead on illiberal democracy and your particular round table topic, the more fun you will have during the conference! Have further questions? Contact us! 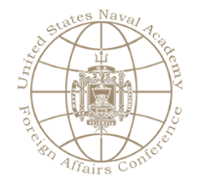 If you have any questions regarding the Naval Academy Foreign Affairs Conference, we encourage you to contact us at nafac-group@usna.edu.